Oh, Yorkville Cellars, how do we love thee? Let us count the ways. Yorkville Cellars was one of the first wineries we discovered when we began exploring Mendocino County a number of years ago. It quickly became one of our favorites. 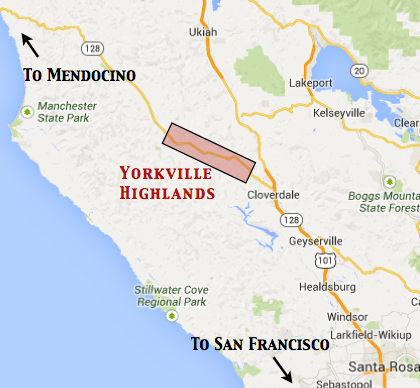 Located just over two hours north of San Francisco, the winery is in the Yorkville Highlands appellation. Frequent readers of our blog will recall that we adore the more rustic reaches of wine country and are particular fans of Mendocino’s Anderson Valley. The Yorkville Highlands region is adjacent to the valley, starting not far from Cloverdale where Highway 128 branches off from 101 and spills almost seamlessly into Anderson Valley as you travel northwest toward the coast. The narrow winding highway, surrounded by hilltops that look down on the morning clouds, is downright magical to us. We actually tasted Yorkville Cellars’ wine long before we visited them. One of our local retailers was carrying their Richard the Lion-Heart Bordeaux blend, and through that bold, delicious red we made our first acquaintance. Within a year or two, we ended up in their tasting room, and that’s when we were truly smitten. 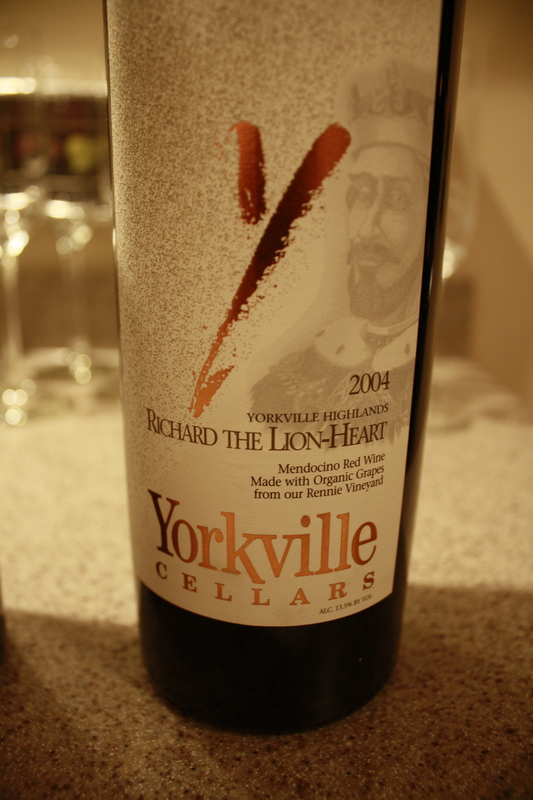 So, this week we offer you a top ten list for what we love most about Yorkville Cellars. As hard as it was to narrow to just ten, we did our best. #10 | Small, family-owned and operated. Making 1,000 cases or less of each of the varietals they produce, Deborah and Edward Wallo are hands-on owners in the vineyard as well as a presence in the tasting room, often helping welcome and pour for visitors. We love the personal feeling we get about a winery when the owners are so involved and present. #8 | They grow all eight of the main grape varietals of Bordeaux: Sauvignon Blanc and Semillon, for the white wines; and Malbec, Cabernet Franc, Petit Verdot, Merlot, Cabernet Sauvignon and Carmenere for the red. In fact, they claim that they are “very likely the only place on Earth where you can taste each of the six Bordeaux ‘Noble Reds’ grown side-by-side in the same vineyard.” We’ll take their word for it! They bottle each varietal individually as well as produce classic Bordeaux style blends in both red and white. 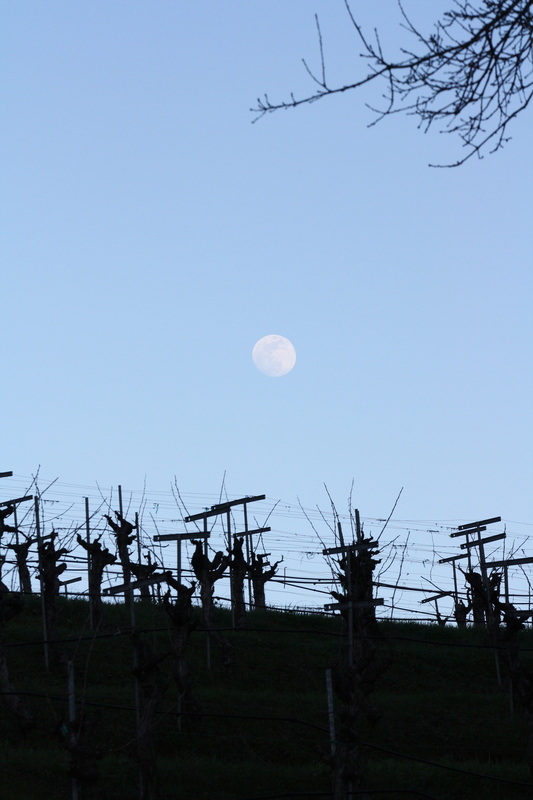 #7 | You can play the “Name That Varietal” game when you visit. They will happily pour you a blind tasting of each of the six Noble Reds they produce and you can try your luck at identifying them correctly. We love games! #6 | Located in the stunningly gorgeous Yorkville Highlands. Did we mention how beautiful the Yorkville area is? Of course, we did. #5 | Home of the only Malbec & Mushroom tasting event in California (as far as we know, that is— and a good bet given that there are relatively few Malbecs grown in California). During the annual Mendocino Wine and Mushroom Festival each November, Yorkville Cellars offers a vertical tasting of their Malbecs accompanied by delicious appetizers, all featuring local mushrooms. I discovered this event by accident two years ago and haven’t stopped talking about it yet. And their Malbec happens to be one of our personal favorites. With its earthy blackberries and cherries, it is more fruit driven and supple than many Malbecs we’ve had. #4 | Positively regal with British history and monarchs. Somehow, wine seems fancier when it is named after Kings and Queens. Edward Wallo explains why they chose Richard the Lion-Heart as the namesake for their red Bordeaux blend. “Richard had a nightmare of a father (Henry II), a legend of a mother (Eleanor of Aquitane)…we started naming our blended red wine after him because he loved wine and spent a good deal of time in Bordeaux.” In keeping with the theme, their Semillion-Sauvignon blend is named after Richard’s mother, Eleanor, and happens to be another of our favorites. Honey and pears are balanced beautifully with lime and just the right amount of minerality to make it positively scrumptious on the palate. #3 | Good People. Is there anything more important than this? Really. Lovely, welcoming and so passionate and knowledgeable about what they do and about the region they’ve chosen as home. In addition, I must admit I have a huge weakness for British accents, so I particularly enjoy hearing Deborah Wallo, who grew up near London, talk about the wines, which she has been kind to do in response to my many questions in the tasting room. Edward, too, is extraordinarily gracious in sharing his wine insights and knowledge with visitors, as is Greg, the tasting room manager who always takes great care of us when we stop in. And the number one reason on our list? #1 | They make great wine. Duh. So this week, we raise our glasses to Yorkville Cellars and to counting the all the many ways we love what we love. Salut!